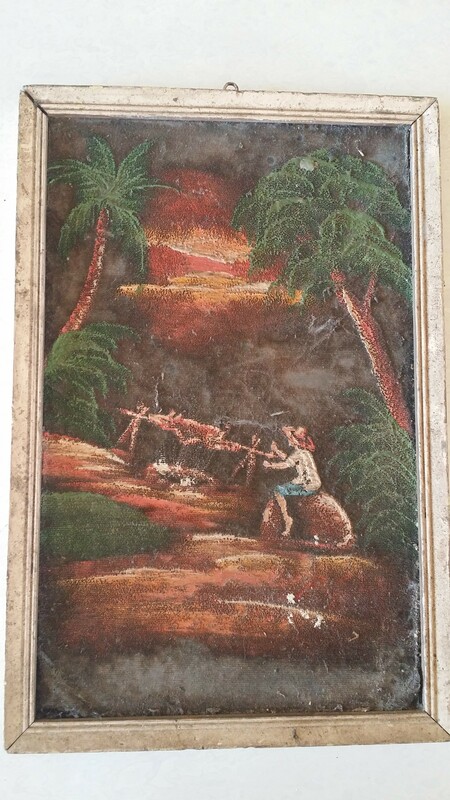 Oil Painting were made by Filipino painters during the 60’s up to the 70’s that depicts how people used to live especially in the rural provinces and farms in the Philippines. Many Filipino painters used oil painting as their medium for sharing and showing the future generations what life was before when things were much simpler. I asked around for the canvass that was used in these two oil paintings. Some say that linen was used others say that velvet was used because the surface feels like hairy. As for me I don’t have much idea on the canvass that was used but I know that for the painting oil was used for it. 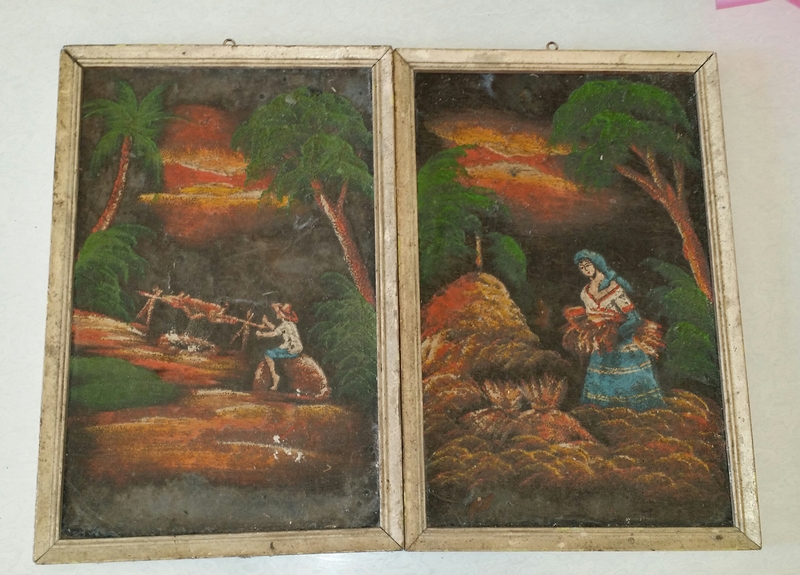 I had the chance to own both at the same time and each oil painting shows different things that people in the Philippines used to do Before. The first is an oil painting of a man roasting a pig. In the Philippines lechon or roast pig is a popular dish in the Philippines. It was originally a Spanish cuisine and was embraced by the Filipino people as one of their own. You can see in the oil painting that the man is roasting the pig by using wooden sticks and a fire underneath. Lechon is usually served during important occasions here in the Philippines especially in town fiestas and birthdays. I cannot trace the Filipino painter who did the painting because there was no signature of the painter in the painting. 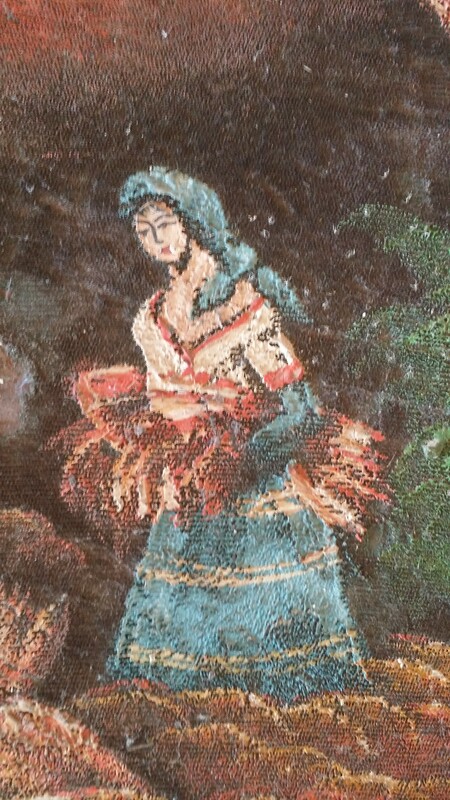 Also some of the parts in the painting were damaged especially in the bottom part of the oil painting. This maybe due to the age and also the neglect of the previous owner. The second is an oil painting of a woman harvesting rice. 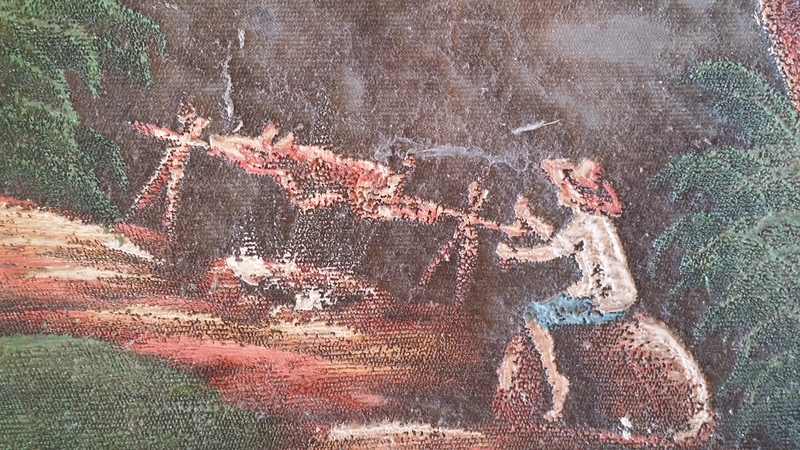 Many Filipino painters use rice harvesting as a medium for their work. Clearly in this oil painting it shows that even women before work in the rice fields and even harvest rice. Rice is a food staple here in the Philippines and you can eat it almost everywhere here. Also up to now especially in the provinces rice planting and harvesting is one of the major livelihood for the families living there. The oil painting also had some damage as you can see in the upper left part and also at the bottom. The Filipino painter can’t also be traced because he did’t sign the painting. Below is a close up picture of the woman harvesting rice. Quel personnage d’Alice au pays des merveilles n’est pas prÃ©sent dans Tea time ? ==> la rÃ©ponse est obligatoirement un personnage d’Alice au pays des merveilles du coup….